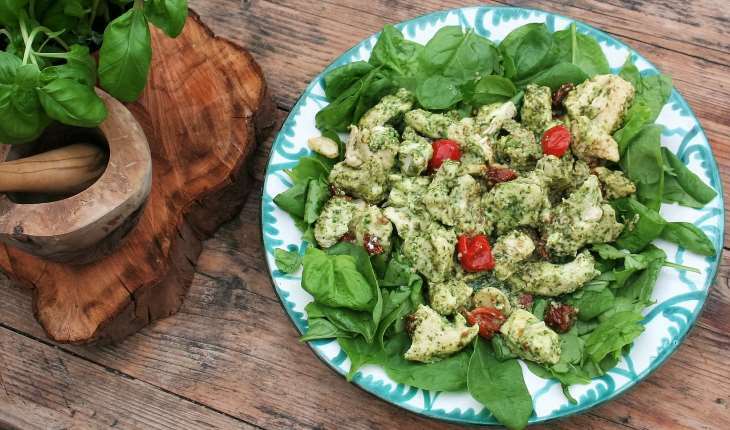 This delightful chicken casserole recipe is low in fat, quick and simple to make and full of nutrient dense foods. 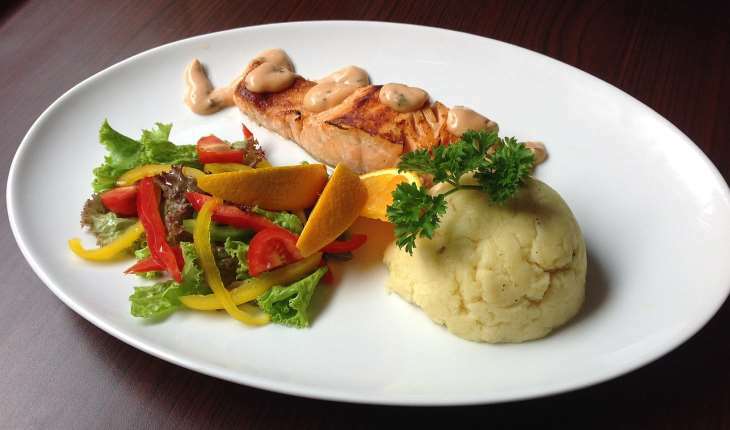 This light and fresh way of serving salmon is low in fat, low in calories and simple to make. This low fat, low-carb dish is the perfect winter warming meal. Avocado is often cited as the number one superfood and it is full of healthy fats, and nearly 20 vitamins and minerals. Turmeric, for example, is an excellent anti-inflammatory food and also has mood enhancing properties as well as being packed with antioxidants! The perfect belly-warming meal for those cold winter nights. Add chicken, cook for a few minutes, or until just browned. Add sweet potatoes and diced onion – cooking for around 2-3 mins. Add remaining ingredients and simmer for 30 mins, or as long as you need. Alternatively, this is a great slow cooker recipe, particularly if you are using chicken thighs or drumsticks, and cooking for longer on a low heat will further enhance the flavour of the food. Garnish with chopped parsley and coriander and add salt and ground black pepper to taste. Serve with wholegrain brown rice. The perfect meal for your next dinner party and fresh enough for a hot summer’s evening, this fruity fishy delight is sure to become a family favourite. Preheat oven to 200 degrees or gas mark 6. In a small bowl stir together ground pepper, minced garlic, and finally chopped parsley. Add finely diced onion, then place a layer of the mixture onto greaseproof paper. Place salmon fillets in the middle of the paper, then drizzle with olive oil and sprinkle with herb mixture, covering with remaining onion and herb mix. Whisk together the orange juice, lemon juice and honey in a bowl before pouring over the salmon. Fold your greaseproof paper into parcels, locking in all of the moisture and amazing flavours. Bake for around 15 mins in the oven, but this depends on the size of your salmon slices. A good general rule is around 4-6 minutes in the oven for each half an inch of fish. Check your salmon is cooked using a fork – if it flakes easily it is ready to go. Place salmon on serving dish with fresh orange slices. Pour cooking juices into pot and heat until sauce is reduced. Pour over salmon and serve, with freshly roasted vegetables, salad, or whole grains such as quinoa. Ideal for those who are gluten free or reducing carbohydrates as part of their diet. 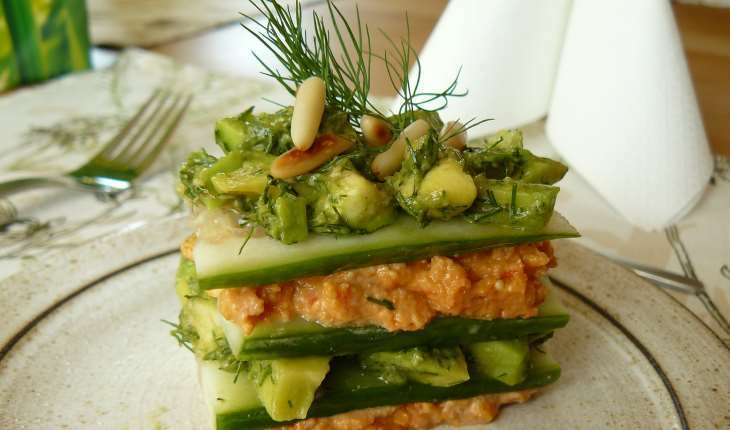 If you prefer, you could also just swap the sliced courgettes for ready-cooked pre made wholemeal lasagne sheets. Preheat oven to 190 °C or gas mark 5 and grease a deep baking tray or Pyrex dish. Slice courgettes thinly, lengthways, and sprinkle lightly with salt. Set aside on a paper towel or in a colander to drain. Lightly fry onions on a low heat until almost clear. Then add garlic, herbs, vegetables, tomatoes and tomato puree. Add 250 ml of hot water to the mixture and bring to a boil. Simmer the mixture, uncovered, for around 10 minutes. In a small bowl, beat one egg and mix with cheese and salt and pepper to taste. Layer half of the courgettes in your baking tray or Pyrex dish, then some of the tomato mixture and repeat the process. Top with all of the cheese mixture. Add parmesan after the dish has been cooked, and it is recommended that you leave the dish to stand for around 10 minutes. 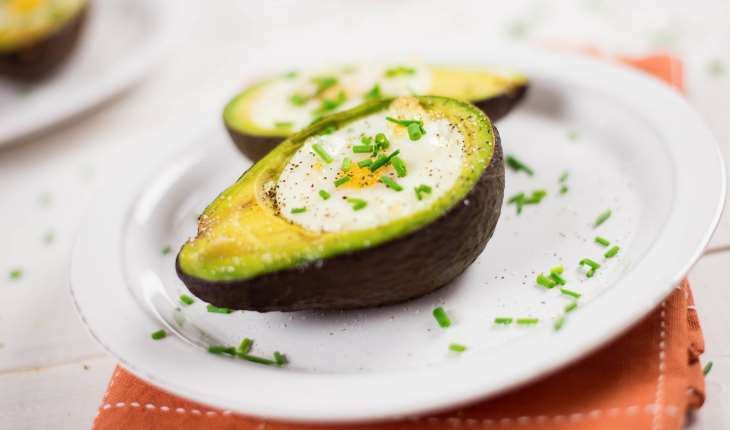 This oven-baked avocado recipe is perfect for breakfast or brunch, helping to prevent hunger pangs and keeping you fuller for longer. These baked avocados have just been topped with herbs, however, you can add anything you like. Cherry tomatoes, in particular, are a great addition or even bacon and cheese if you are looking for something a little bit naughtier. Preheat oven to 200 °C or gas mark 6. Place the avocados on a baking tray after you have halved them and removed the stone. If you are struggling to get the avocadoes to sit still, you can also cook these in a large cupcake or muffin tray. Scoop out some of the flesh using a teaspoon to create a bigger hole. Crack one egg into each half of the avocado, and add salt and pepper to taste. Bake in a preheated oven, for around 15 minutes, or until the egg is fully cooked. Add herbs and any other toppings that you desire. Lightly cook onions, and add herbs alongside salt and pepper in a large saucepan. Add onion, potatoes, stock and peas and bring to the boil. Simmer the mixture gently for around 20 minutes. Remove from the heat and leave to cool slightly. Add ham, removing any bones if present and season to taste. Leave to cook for another twenty minutes. 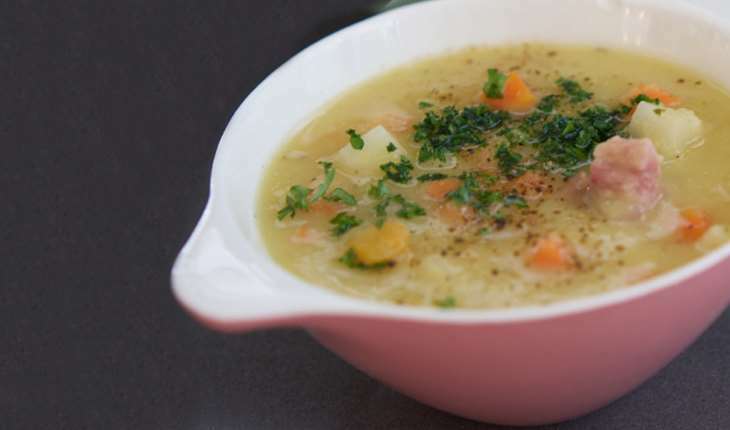 If you prefer a creamier soup with no bits, use a hand blender and process until the soup is smooth.